Reinforce your work ethic with this desktop wallpaper anytime you need a quick reminder that successful people put in the time that's required, not just the time they feel like working. To download the full resolution wallpaper (1920×1080) right click this link and choose Save As. 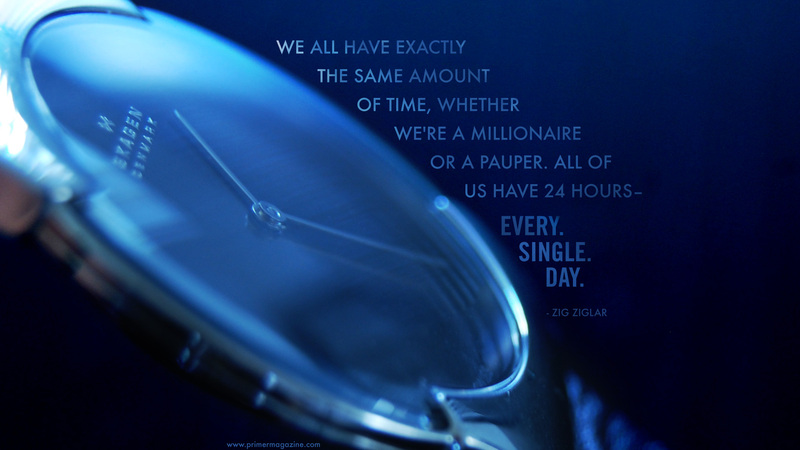 I’m a huge fan of Zig Ziglar. He’s an amazing speaker. Beautiful watch Andrew, what is it? That’s the one! Thanks Joe. All I can say I totally agree with this, it is very important for us to mange our time. time management is one of the most important thing we should never forget. I am still confused about time!!! I work hard and I try to do what is important, but things never get finished. One thing I know is that at the end of the year I am always amazed at all that happened!! !